Make a Temporary Magnet. Fun Science at Home. Just because something is magnetic, doesn’t mean it is a magnet. Did you know that you can turn something that is magnetic into a magnet? But only for a little while, that is why it is called a temporary magnet! Something that is always a magnet is called a permanent magnet. Use our easy step by step instructions to make your own temporary magnet and read on at the end to learn about the science behind magnets. Rub the permanent magnet up and down the nail 50 times. Put the permanent magnet to one side so that it doesn’t affect the experiment. Put some metal paperclips on the table/surface you are using and hold the tip of the nail close to it. Gently lift the nail up – the paperclip should be stuck to the tip of the nail! Lots of metal things have very tiny magnetic charges in them. However, in most things, these little magnetic charges are all jumbled up so they aren’t very strong, a bit like a box full of jumbled up magnets. However, in a magnet, all the mini magnetic charges inside have been forced to line up, making them strong enough for us to see their effects. 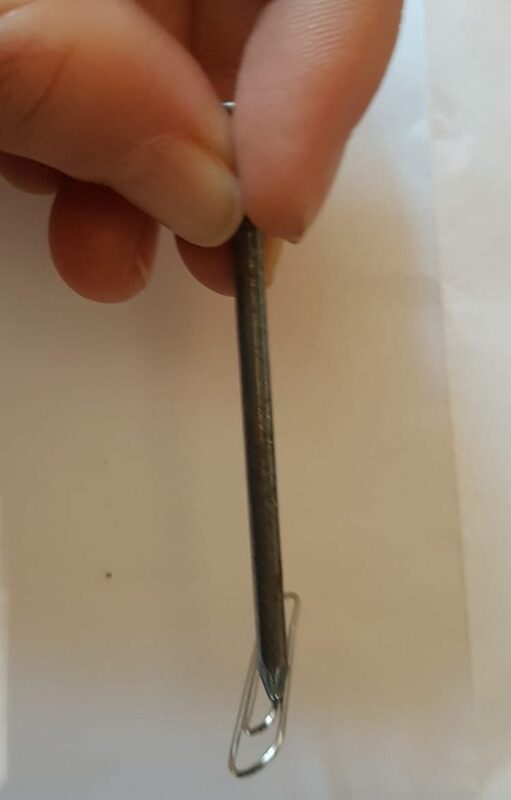 When you rub the magnet on the nail, the magnetic charges in the magnet pull the magnetic charges in the nail into a line so it acts like a magnet for a little while, before they all jumble up again!